Affinity is a relationship intelligence platform built to expand and evolve the traditional CRM. Affinity helps your team curate and grow its network by unlocking introductions to decision makers and auto-populating your pipeline to increase deal flow using AI and natural language processing, . Work for Affinity Relationship Intelligence? Learning about Affinity Relationship Intelligence? Affinity is a unique solution that has redefined how we think about relationships. Within an easy-to-use UI, our team has been able to create "Alliances" which is a basically a universal rolodex with valuable insights powered by machine-learning. As a result, we're able to source and close more deals, quicker (and also uncover opportunities we didn't know were there). Not much to dislike, but I'd like to see more reporting and data that's relevant to our vertical (healthcare). I've shared this feedback with the product team and they were responsive. Based on my experience and the teams using Affinity, I expect most companies to adopt this technology. It's comparable to a Linkedin Teams solution but with better insights and underlying data. Business is all about relationships, and historically "relationships" are scattered across CRMs, social media, email, and cell phones. Affinity not only provides a more cohesive view, but provides insights into who knows who throughout our organization. We're able to source and close more deals, quicker. "The best relationship intelligence platform"
I love everything about the Affinity product. It's clearly designed from a user-first perspective and the product has a easy-to-use, well designed interface that helps me better manage my network and relationships. One of the best parts about using Affinity is that it also minimizes any valuable time wasted by data-entry since it intelligently auto-populates important information. Affinity gets even more powerful when more people in my network use the product so I dislike that more people aren't using such an amazing product! Affinity helps me manage my pipeline of company investments and store importants information about my network and founders that I've spoken to. Affinity is absolutely crucial for ensuring that no action item slips through the cracks and has helped ensure that our investments are completed smoothly and as efficiently as possible. "Intelligent Context w/ Necessary CRM Features"
Affinity provides context on our relationships with every organization we are fostering relationships with. By providing a visual representation of emails, meetings, notes, and reminders as well as key information like source of introduction and easy syncing with our team's inbox and calendar it is easy for a small organization to stay on top of many leads. Affinity is just beginning to build out their reporting features. Because of this, the reports can, at times, be unintuitive. Reports and summary dashboards would greatly enhance the product. 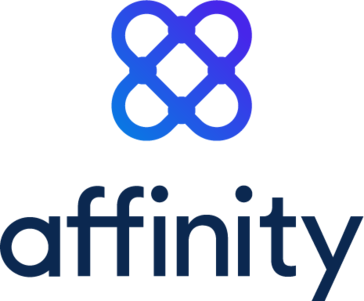 If you are in need of intelligent context around each of your relationships and the type of service only a motivated startup can provide, Affinity is your best option. Affinity is helping us source our very first customers. Many of these customers are coming from warm introductions or in-network connections. Therefore, it is critical we have the context around our relationship with these early customers. Tools like reminders, notes, auto-syncing with calendar, and even on-platform email give our team a central location to manage these vital early relationships. Thanks, Simon! We appreciate all your support. More reporting options are coming soon. Thanks again! "An excellent Relationship Intelligence platform for agencies"
I love how Affinity lets me find connections to other people in the industry, whether to journalists, freelancers or potential clients. Through the platform’s Alliances feature, I can see which person in my network is connected to the people I’m seeking an introduction to, and I can tell how well acquainted they are so I know if it’s a good fit for a warm intro. I also really like the productivity tools that remind me when I haven’t responded to an email, for example, or that tell me when I’m close to letting a relationship go cold. There’s nothing in particular I dislike. I was one of the early testers of Alliances and found a bug or two, but those seem to be fixed by now. I’m mainly using the Relationship Intelligence parts, to ask for warm introductions to people. I love digging through my network to analyze my connections and discover who knows who, how they know each other, etc. It’s very useful to our agency when trying to break in with a particular journalist or when talking to new prospects. We have already landed at least one new client and placed multiple stories thanks to leads we generated through Affinity. My, personal, favorite part of Affinity is to drill into a list and instantly see a snapshot of interactions with each entity. I am able to quickly identify any relationship that might be due for some attention, relationships that might otherwise have been inadvertently dropped. There really isn't a lot that I don't like about Affinity. They're constantly iterating, improving the existing product while building new features. Affinity has given us insight into our network that we simply didn’t have before. At any moment, any member of our team can see the status of a relationship – who that individual or organization is in contact with, how frequently, and in what manner. Not only that, but Affinity allows us the insight into how entities in our network are related and connected to each other – something we simply didn’t have before, in any form. For the first time, we are able to centralize our data, allowing us the ability to build work flows and processes that we can trust on top of it. "Great for relationship intelligence in sales, BD, etc"
Affinity is a great platform for gathering deeper insight into your network as it relates to my sales and business development efforts. It's the best system for understanding these connections that I have found thus far. I like that it also analyzes my email conversations and reminds me of important conversations. hmmm. Not sure. I like everything that it does. I'm quite clear on what the system does and why I got it. I would like it to be deeper integrated into perhaps my other sales and marketing tools. Deep integration into Salesforce, Marketo, SalesLoft, Outreach.io, etc. This would make it more powerful. Sales prospecting and sales cycle acceleration. How affinity integrates with my email and automatically adds new contacts to my lists. It's a huge time saver. Haven't found anything yet. It takes a couple of hours to get the hang of it but this is the case with any new technology. Affinity removes the need for time consuming manual entries every time there is a business interaction. It just does everything in the background. Whenever I need to fin someone it is as easy as typing in their name on a search bar. I have used other CRM softwares and this one is by far the best. "Great CRM for anyone working in VC"
Affinity is custom built for dealflow and has great features. One of the best is the integration with Crunchbase, so company data automatically gets synced (such as industry, types, etc). This saves tons of manual work and effort. Besides that, its super easy to customize fields and add more data. For ex - we use it to cutsomize types of investors (such as private investors, VC, corporations, etc). It also has a very clean and easy interface, and the integration with gmail is very good. Not much. It would be nice if it could categorize company type directly. Also, the only way to upload a list of contacts is to make a list, which isnt always necessary, but it's not a big deal. Organizing our contacts very effectively and managing relationships with our important contacts. "Best UI /UX of any relationship management app"
The intuitive UI is hands down the best part of the app. By integrating a familiar spreadsheet-like format with all of the advantages of entity tracking, Affinity helps keep all of my relationships in check. I’ve used other sales app and none come close. Not much, there are a few bugs here and there since it hasn’t been completely rolled out, but many of those features are beta. We appreciate all your support. If you ever run into a bug let us know. We are always ready to squash them. Thanks again! "This Team Builds So Fast!" I have used a lot of tools in the past and I am stunned by how fast this team builds. The other day I mentioned to my CSM that I would love to see a particular feature, two weeks later it was live. INCREDIBLE. Every month they message their users about all of the new features and improvements. Looking at their LI profile, it seems like a young rockstar group of incredibly talented engineers. Mobile was lagging for a while. So far the new release is much better but looking forward to additional advancements.
" Great platform for allowing discovery of otherwise hidden / valuable connections"
The speed of search, queries and the power of seeing who (within your enterprise or through alliances) has the most leverageable relationships. In partnerships (and or complex, multilevel sales / customer service environments), relationships / contact databases are coveted (and in many cases obscure). We’re now able to see “who knows who” and then thoughtfully analyze how best to approach key introductions. "Pipeline management is a breeze now that we have Affinity"
There are three aspects of Affinity that I like best. The first one is the platform's overall ease of use and the fact that it helps organize our pipeline much more easily. The second aspect is Affinity's Gmail plug-in that allows me to upload an opportunity onto the Affinity platform while I have an e-mail related to the opportunity open. The third aspect of Affinity that I really appreciate is its stellar support team. They helped my company and me on several occasions with building reports and optimizing the platform so that it can meet our needs as closely as possible. There isn't much to dislike. At one point I was having trouble configuring a report, but, as I mentioned in my third point of what it is that I like best, the stellar customer service came to my aid and helped me quickly resolve my issue. I don't believe that I have Affinity Relationship Intelligence, but the regular Affinity platform provides insights on the relationships I have and potential introducers that can help me meet new founders. "the cutting edge of engaging your 6 degrees of separation "
I have the ability to truly identify key connections within my network. Executive alignment is crucial in any deal cycle but identifies who and when to use those connections is difficult to manage. Affinity is on the front lines of making your network truly accessible and actionable. Early stage solution still gaining mass adoption. Being single threaded in a deal is the quickest way to lose a potential customer. Affinity allows me to identify key relationship which will positively impact the velocity and size of a deal. Team selling is a cornerstone at Conversica and it is not easily achieved. Affinity allowed me to effectively team sell. "Affinity looks good and works well." I began using it to manage my contacts because of its clean design and mobile accessibility. I appreciate it now even more because of the consistent quality of its intelligent insights regarding the strength of relationships. I would like to be able to pull up past emails through its mobile app. I rely on Affinity to track unanswered emails and overdue reminders. Al proporcionar una representación visual de correos electrónicos, notas y recordatorios, así como información clave como fuente de introducción y fácil sincronización con la bandeja de entrada y el calendario de nuestro equipo, es fácil para una organización pequeña mantenerse a la vanguardia de muchas oportunidades de venta. los informes pueden, a veces, ser poco intuitivos. Los informes y paneles de resumen mejorarían en gran medida el producto. Las herramientas como recordatorios, notas, sincronización automática con el calendario e incluso el correo electrónico en la plataforma brindan a nuestro equipo una ubicación central para administrar estas relaciones. "Great tool to speed of sales"
Having the ability to find the best and right person to approach using our sales team's connections. It is better to sell from the top, than work your way up the food chain. Coming from a Salesforce instance, getting used to the navigation or organization took some getting used to. Speeding up the sales cycle and talking to the actual decision maker is our main issue we are using Affinity to solve. Reducing the time needed to close deals, or at minimum, get to a NO, was reduced by 28%. Affinity makes everything in my network easily searchable, automatically gathers tons of data so i dont have to enter it, and is my go to for managing professional relationships. Affinity provides me with invaluable insights into my networks, and how to best leverage it to be more efficient. There have been so many times I have used Affinity to remember when I last spoke to someone, what introductions i have given/received, to track down files, etc. that is so much easier in Affinity than trying to remember the right search terms for an email search. "Alliances are a Game Changer"
The capability of their Alliance feature is mind blowing. It solves one of the biggest pain points I have faced as an entrepreneur - scoring warm introductions . From recruiting to fundraising, warm intros can make or break a business. Alliances surfaces all this data so I can better leverage my network. Really is amazing technology. The reports were limited for a while. They just released a few more that align them with other Salesforce alternatives. Leverage relationships and source more warm intros. "Use affinity for sourcing companies and managing which I've spoken to." I like the fact that I can track the companies I am interested in and keep a close eye. I don't like how you cannot create sublists within the major list of deals/companies. Try and take advantage of all of the features you can, including the mobile app. Affinity is very customizable, so try and make it what you need by customizing the stuff that's important to you. I've been more organized which has allowed me to see my short term goals clearer. "Incredible product, saves us a ton of time and helps us manage our relationships better than ever!" "The best CRM for Startups and Investors - and priced accordingly"
Seamless email & calendar integration shows past and upcoming touch points making it easy to maintain momentum. Additionally, the product is being actively developed, the team has already implemented some improvements based on feedback I've given. Only negatives are the price and the notes feature that doesn't support rich text. "Affinity is definitely the best "
"High Value Offering, Affordable and Opens Doors"
Helps me visualize pipeline, strength of relationships and owners in certain tech names without having to individually source and build lists manually. I actually think they could partner with another one of Joe L.'s companies/tools that I utilize and would make it even more powerful. More effective follow-ups, Relationship connectivity visualization, strength of relationships, Help me extend sales pipeline. Gmail plug-in. Automated synch with our email and calendaring. Daily notifications and warnings. Best CRM we have used. We switched from SalesforceIQ and our productivity went through the roof! Managing all our relationships, keeping track of interactions, watching interesting people, understanding what are next steps, action items with each specific deal. "Must have if you’re managing relationships!" Wow! Simply amazed by how clean the UI is and how powerful the relationship data in helping me find connections in my network. Not much to dislike about this product! You definitely won't regret switching to it! Managing my network. Affinity has helped me realize its true potential. Affinity is the most important tool I use in my job as an investor to raise money, source investments, and support portfolio companies. Period. It's still a little bit slow to load sometimes. Quickly searching through my relationships using filters to support portfolio companies. * We monitor all Affinity Relationship Intelligence reviews to prevent fraudulent reviews and keep review quality high. We do not post reviews by company employees or direct competitors. Validated reviews require the user to submit a screenshot of the product containing their user ID, in order to verify a user is an actual user of the product. Hi there! Are you looking to implement a solution like Affinity Relationship Intelligence?